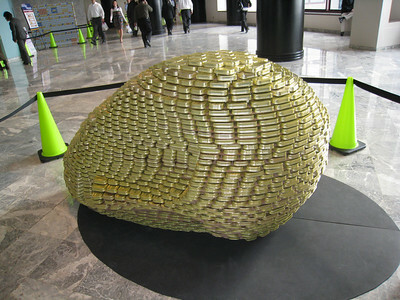 The omnipresent NYC union rat, this time lobbying against hunger! 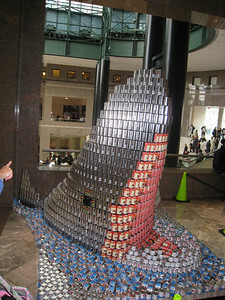 Good grief, its Snoopy, sir! 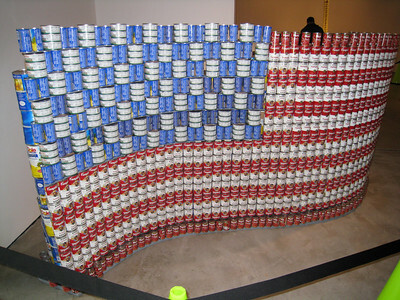 I wish I knew enough about art to know which artist this was homage to? 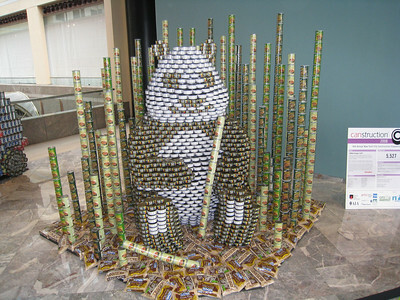 Note that Panda is sitting on bed of brown rice? 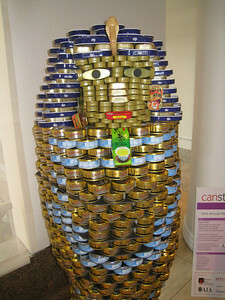 Note King Tut's fallen ear (= sardine can) on the left side? 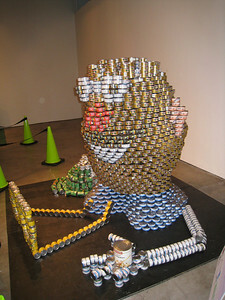 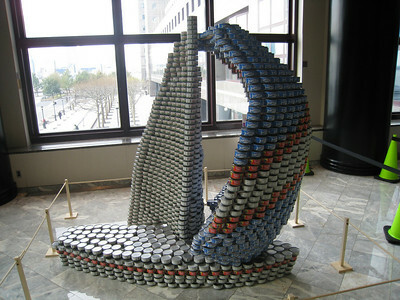 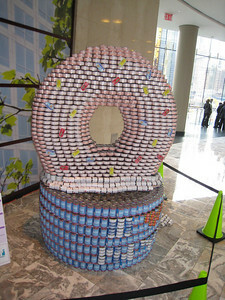 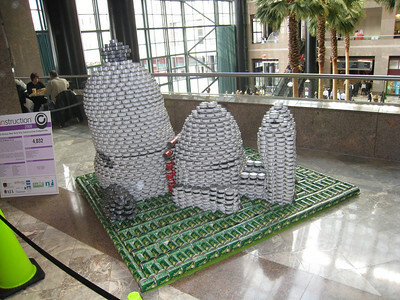 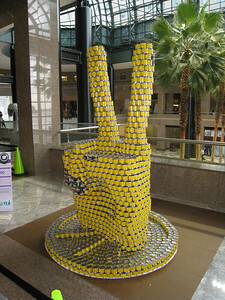 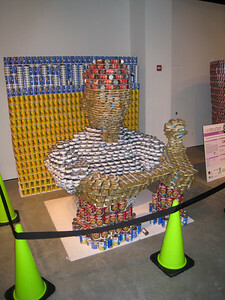 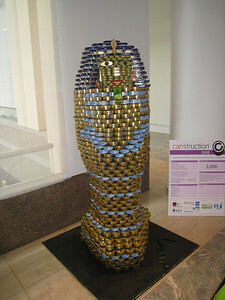 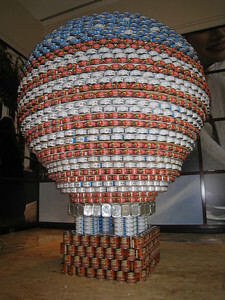 Mr. Potatohead made out of tuna cans? 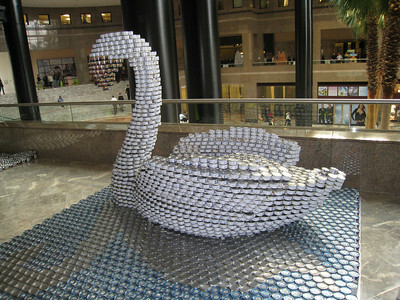 I didn't even notice the swan's "shadow" until I uploaded this photo!